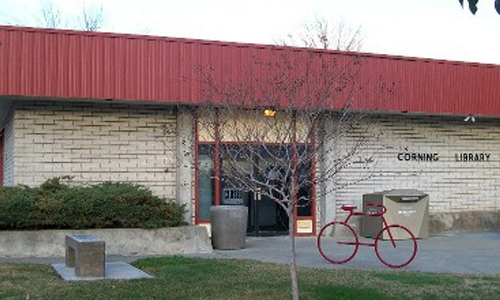 The library has 10 computers in Red Bluff, 7 computers in Corning, and 5 computers in Los Molinos available for public use. You must have a valid library card in good standing to use one. Each library also has a station where you may plug-in your laptop for power only. Appointments are made on a first-come-first-serve basis. Each person is allowed up to 1 hour a day – no exceptions. Your time will be scheduled to the nearest half-hour. You must present your library card when signing up for a computer. Sign-ups must be made in person at the front desk. You may sign up in advance to reserve time, but only for later that same day. We do not make reservations by phone. Computer programs include but are not limited to – Word Processing, Spreadsheet, Draw, Presentation and Database programs, Gale Research Database (includes Chilton Library, General Reference Center Gold, Health Reference Center, Gale Virtual Reference Library, and Testing & Education Reference Center), Firefox, and Internet Explorer. Computers are equipped with a CD burner and USB ports. Printing in black ink is available for 5¢ a page. All pages printed must be paid for. Travelers passing through town will be allowed a 15 min. e-mail check without a library card. Our Public Computers provide programs such as word processing, games and basic reference tools. They also can connect to the Internet (World Wide Web). It is global in its reach. You may find things that you disagree with or that are objectionable to you. 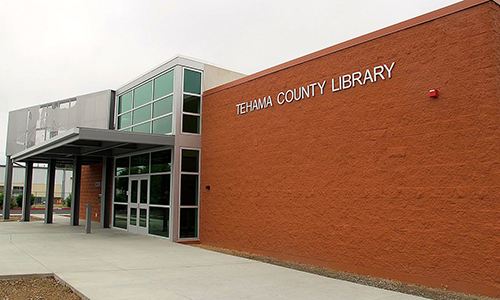 The Tehama County Library makes no claims of accuracy or of quality for any information found on the Internet. 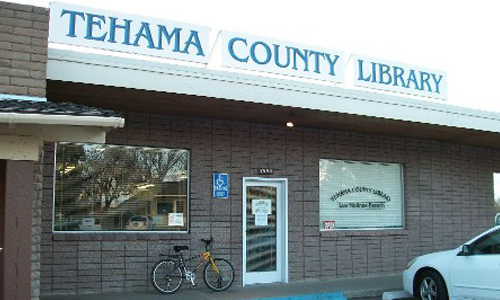 Library staff is only able to provide minimal assistance in using the public computers. All internet computer users must have their own valid library card, IN GOOD STANDING. You must present it when signing up for a computer and when you check in at the circulation desk. If you are under 14 years of age, your parent or legal guardian must give their signed consent for your use of the Internet terminal. Each person is allowed 1 hour per day — no exceptions. Users must promptly relinquish their computer terminal when asked to do so by staff. You may sign up in advance to reserve time, but only for later that same day. You must sign up in person, you may not make reservations by phone. If you reserve time and are more than 5 minutes late, you forfeit your time if another user is waiting. No more than two people shall sit at an Internet terminal at the same time. The terminal is in a public place. You must not display visual information that is objectionable to others. If you do so, your privileges will be suspended for six months. If further action is necessary, your privileges will be revoked indefinitely. You may not use the computers to violate any law. You may not turn the computer off at any time. If your computer freezes up, ask the staff for help. You may not change any settings on the computer or save any files to the hard disk. Dowloading to USB memory sticks/flash drives, floppy disks and CD’s is available. Floppy disks may be purchased for $1.00. If you want to have access to e-mail, you must have your own account, either from your own ISP or other provider. Printing from the computers is available. The cost is 5¢ per page. All pages that you print must be paid for. Copies may be picked up and paid for at the circulation desk. Failure to abide by these rules will result in the loss of Internet privileges.